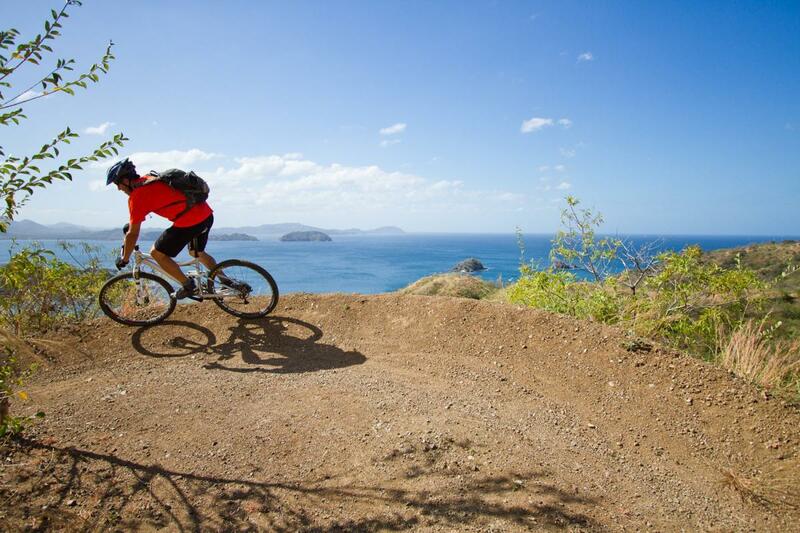 Fantastic intermediate - advanced single track trail with some stunning ocean views. Few Costa Ricans have carved it into a hill/mountain by hands in last 4 years. Several wooden bridges and 180 turns make it great fun to ride. There are no hard climbs neither there are crazy downhills. What makes this trail intermediate is the fact, that there is no railing along the track and one mistake can send you down from a really steep hill right into the bushes ;-). Come and check it out, it is worth it! Review: This was a good ride, I did the longer loop which took 2 1/2 hours. as an advanced - intermediate rider it was pretty straight forward with a few strenuous climbs. Humidity was challenging but once you get back under tree cover it was fine. I rented my bike for Pura Vida who have top class bikes. BEST Single track cross country trail system in the country!! Review: Went in feb which was wrong l think due to seeing these green season pics. I bonked in the heat and nearly failed. But what l did was great enough to remember as a fun time. The Bike was first rate and tuned well. Staff was fine albeit l worried not enough biz was going their way to keep it afloat. Probably the Greenhouse rest next door had me concerned in that regard more as their food and frozen naturales are fantastic. Again; go green season to enjoy the cooler wx and have more of a blast than me. Special shout out to Ariana, Sam, frank, Scott and the Floridian, whose name I forgot. The bikes were totally up to date and well maintained. Hard tail and dual suspension bike. Review: My son and I went two times to the trails and loved both times. The main trails close to rental shop and beach are really nice, single track, fairly easy. If you want to add difficulty go to the back side, on our second day we rode closer to 18 K and the back end trails are more difficult. Good climbs, all mountain, and very Lush terrain. Bring lots of water if you are going mid day, it is very dry and hot. Pura Vida Bike rentals are great, very nice people, and very helpful. Similar Trail: Southern Ontario, Canada, Single track, except way warmer. Pura Vida Ride - Las Catalinas MTB Trail 4.25 out of 5 based on 9 ratings. 9 user reviews.